First off, I'd like to apologize for my 9 day hiatus. But, unfortunately it was not under the best circumstances. This past Thursday morning, I was hospitalized again for blood complications. 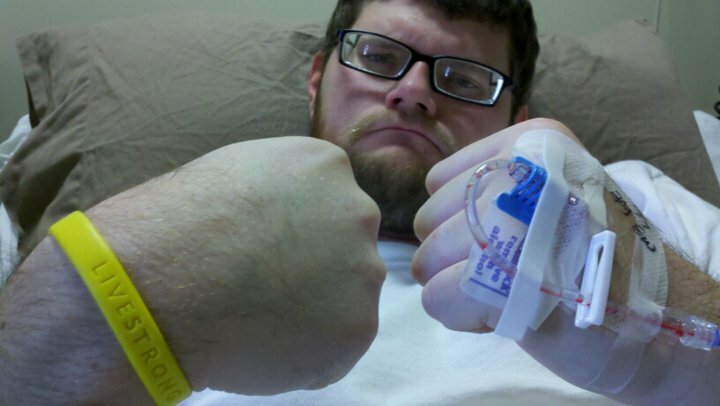 I won't go into too much detail, but it wasn't as bad as the last time I was hospitalized. Luckily, Dianne and I were on top of it and the second that my fever started to get weird, we went to the hospital. I got admitted to the hospital here in Murray. Which was nice because Dianne could sleep at the house at night and I wasn't so far away from everybody. It made being in the hospital a little more homey. Besides, Murray- Calloway County Hospital recently had a renovation, and their rooms are NICE! But getting back, my WBC (white blood count), was 0.3, which was next to nothing, again. We were fortunate that since we have already been down this road before, we were able to get right to fixing the problem. So I spent all of Thursday, Friday, Saturday and most of today; getting blood transfusions, fluids, antibiotics and a number of other medicines. So here I am on 9:30 on a Sunday night posting you all on my happenings. I'm feeling much better now and thankfully I have a week here at home to FINALLY catch up on things.